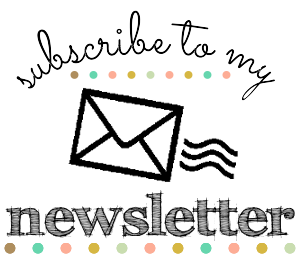 If you have arrived here from Janneke's blog, then welcome! The new Seasonal Catalogue is packed full of items for the upcoming seasons. Christmas, Halloween and Harvest/Thanksgiving are just a few of the products featured. I personally love Halloween, and celebrate it every year with hand carved pumpkins and decorations. 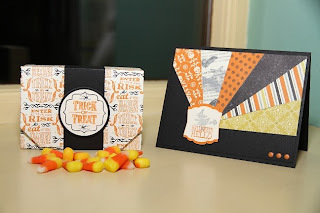 I always make little treats for the whole family and include a little handmade card as well. This year I will also be making Emily's teachers a little gift for Halloween. The boxes are a variation on what I made for Christmas. They are just big enough to hold a small item such as a hand cream or miniature body lotion, or even a little sweet something! 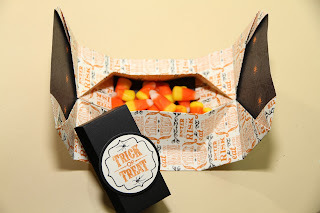 The little treat box is made from one sheet of 12x12 Designer Series Paper and doesn't require any glue or tape. Just simple scoring and folding! The belly band around the middle is just made with a strip of Basic Black Cardstock which is wrapped around the middle and secured on the underneath. 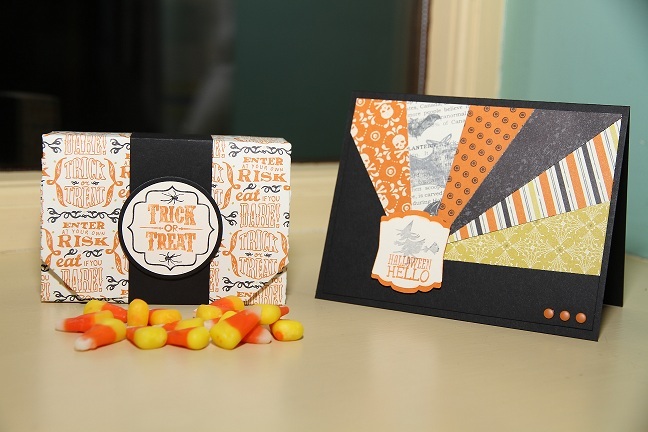 I used the Trick or Treat stamp from Tags For You Stamp Set, and used my markers to colour in the sections with Basic Black for the outline and spiders, and Pumpkin Pie for the wording. Using the Starburst technique, I have created a collage of papers from the Witches Brew Designer Series Paper collection. 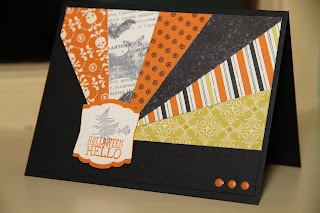 It just shows how easy a background can be made from scraps of papers that have been left over from previous projects. The sentiment and witch were from the Halloween Hello stamp set. I stamped the witch in Basic Black, but instead of stamping it directly onto the Very Vanilla, I stamped it onto a scrap piece of paper first (to take away some of the ink) and then stamped it onto the correct piece of card so that it just had a lighter background effect. This then allowed me to stamp the Halloween Hello over the top in Pumpkin Pie. I used the Artisan Label Punch to punch them out. If you would like any information on how to make either of these projects, then please do get in touch. 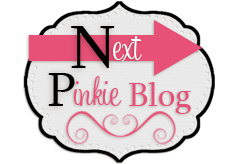 So the next stop is Erna's blog, why don't you go and take a peek and see what she has been up to? Lovely project, thanks for sharing! 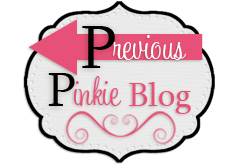 Great blog hop! Great project! 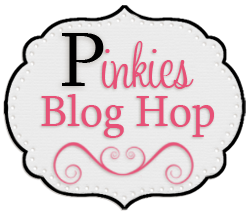 Really enyoing our bloghop! Love the box you've made. Like your halloween project. Like both of your Halloween creations.